Behind the scenes with The Daily: The Hollywood Reporter interviewed the team behind The Daily. Michael Barbaro, Lisa Tobin, and Sam Dolnick spoke about the surprising attention their personal lives have received thanks to podcast fame, as well as their new projects. The Weekly, in conjunction with FX and Hulu, is due to launch in June with a 30-episode season. Dolnick also hinted that the New York Times’ Caliphate podcast might also be making the leap to television. 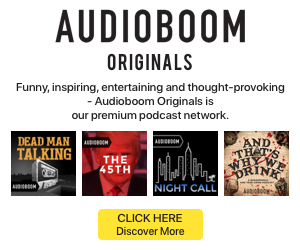 Building the perfect podcast studio: Billboard examined one of the less obvious questions about podcast production: where do the shows get recorded? The ideal studio setting for podcasts isn’t necessarily the same as a music studio. Experts from architectural and acoustic design firm WSDG, which has done projects for Gimlet Media, Stitcher, and Audible, shared their insights on the perfect podcast space. People still want to pay for records: Physical formats have seen steep declines in sales over the years, but vinyl has been a source of positive results. A new survey by YouGov indicates that the trend is likely to continue. A third (31%) of respondents said they are willing to pay for music on vinyl. Baby boomers posted the highest rates of vinyl purchase at 36%, followed by 33% for Generation X.